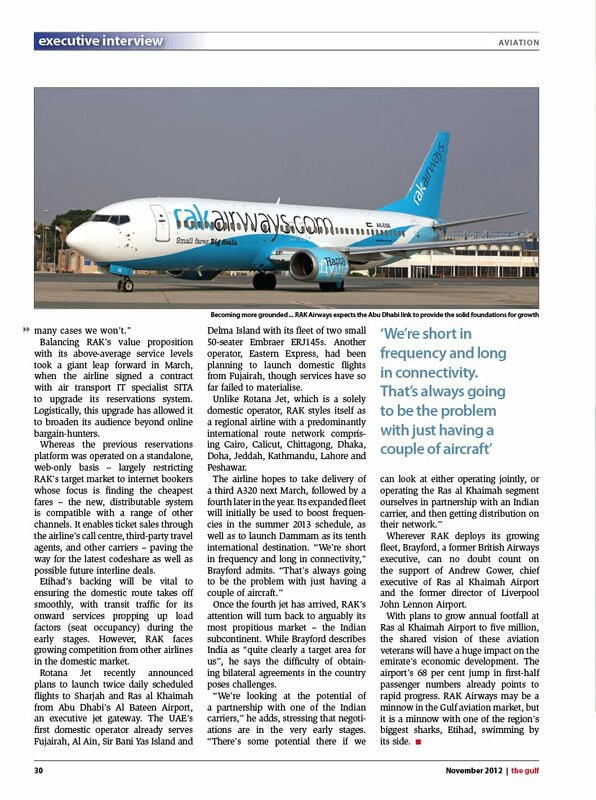 When RAK Airways re-launched in 2010 – having been grounded after just two years of operations – many in the aviation industry were sceptical of its pledge to carve a niche between the full-service and low-cost carrier sectors. 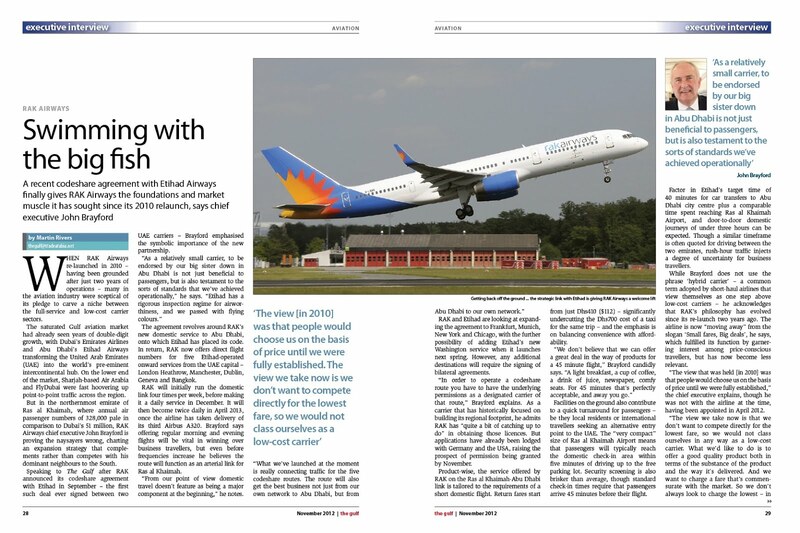 The saturated Gulf aviation market had already seen years of double-digit growth, with Dubai's Emirates Airlines and Abu Dhabi's Etihad Airways transforming the United Arab Emirates (UAE) into the world's pre-eminent intercontinental hub. On the lower end of the market, Sharjah-based Air Arabia and FlyDubai were fast hoovering up point-to-point traffic across the region.